This entry was posted in Uncategorized on December 31, 2018 by greybrucelabour. The Minister of Labour puts out this press release in an attempt to make the Ford gov’t look like some kind of hero. Ford and his cronies did just what the Harris gov’t did, “not let a good crisis go to waste and in the event that there is no crisis, make one”! Instead of opening up dialog after the first contract rejection, Ford and his cronies, otherwise known as the OPC caucus, jump in to undermine the Collective Bargaining rights of the PWU Members working at OPG. “Despite delay tactics and political games putting our electricity supply at risk in the heart of winter, the Legislature has passed Bill 67, preventing large-scale power outages across Ontario. The people of Ontario can be assured this holiday season that they will have the power they need to light up and heat their homes and businesses. “Our government has been clear that we will do whatever is necessary to keep a steady supply of electricity in Ontario. And above all, we will always put the interests of Ontarians first. “A collective bargaining deadlock between OPG and the Power Workers’ Union resulted in the union issuing strike notice, allowing for the shutdown of OPG’s nuclear and hydro-electric assets that produce 50 per cent of Ontario’s power. The Independent Electricity System Operator concluded that Ontario would not have the electricity needed to meet consumer demand resulting in brownouts and blackouts across the province. “The passage of Bill 67 removes the risk of widespread power outages and allows a dispute resolution to happen appropriately. The amendments to the Labour Relations Act, 1995 prohibit and stop any strikes or lockouts between OPG and PWU for the current round of bargaining. All matters in dispute will be referred to a neutral mediator-arbitrator for a fair dispute resolution process. This entry was posted in Uncategorized on December 20, 2018 by greybrucelabour. This entry was posted in Uncategorized on December 17, 2018 by greybrucelabour. Ontarians should be deeply concerned at the speed and the manner with which the Ford government brushes away Charter rights by using back-to-work legislation, says the Ontario Federation of Labour. The Charter of Rights and Freedoms protects the rights of all Canadians. The Ford government has repeatedly undermined Ontarians rights when it comes to workers’ issues. It used back-to-work legislation to end the strike at York University, and threatened to use the notwithstanding clause to force a reduction in the number of Toronto city councillors. The Ford government recently used Bill 47 to take away workplace rights from Ontarians including two paid sick days and a scheduled January 1 increase to a $15 minimum wage, despite widespread protest from unionized and non-unionized workers across the province. The OFL represents 54 unions and one million workers in Ontario. For information, visit http://www.OFL.ca and follow @OFLabour on Facebook and Twitter. Ford, and his caucus, a group rife with ignorance about workers and the full and comprehensive process of collective bargaining (a right enshrined in the Charter of Rights and Freedoms that Ford has already shown his contempt for) out of the gate start calling for some sort of legislated end to the issues at stake. When government can’t even wait for the ink to dry on the announcement of referendum results it shows that there was never any intention of permitting the process to run its course. 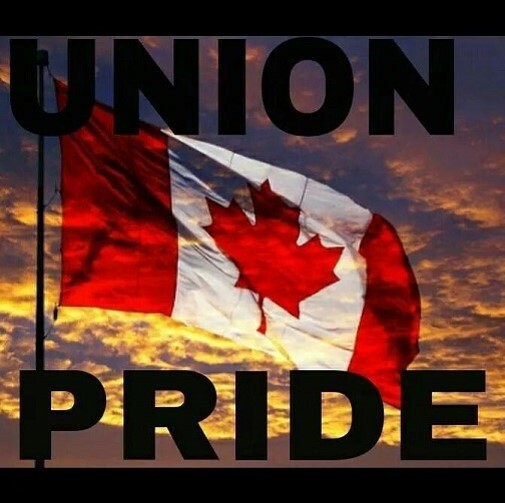 In the Ford government there will not be one obsequious MPP, even those who claim some knowledge of the Trade Union Movement, who will stand for the rights of workers. The Ontario Progressive Conservatives will recall the legislature from its Christmas break to impose a labour deal and prevent a potential work stoppage at Ontario Power Generation (OPG), government sources tell Global News. The Power Workers’ Union (PWU) rejected OPG’s final contract offer on Thursday leaving employees in a strike position. “OPG is disappointed that its fair and reasonable offer was not ratified by PWU members,” OPG said in a media release on Thursday. Global News has learned Premier Doug Ford has scheduled a meeting with his advisers on the matter on Friday afternoon. “Our members’ first choice is always to reach an agreement through negotiating in good faith,” Mel Hyatt, president of PWU, said in a media release on Thursday. PWU said the bargaining committee will meet on Friday to discuss steps to begin a 21-day “safe shut down” period in preparation for a strike. Workers have been without a contract since March 31 and negotiations between the two parties have since reached an impasse. The union said OPG refuses to reconsider its stance to deny over 300 term workers the rights of full-time employees. Currently, 300 Pickering and Darlington power plants employees fit in the term worker category. The Ontario government says OPG, a Crown corporation, produces close to 50 per cent of the province’s electricity. This entry was posted in Uncategorized on December 14, 2018 by greybrucelabour.